Neofeud 2 Clip: "Sun Goddess"
"Sleepless - & homeless & hyper-surveilled - in Seattle!" Gamedevs make games, and they deserve a dignified wage! Drones, flying cars, robot cops, oh my! 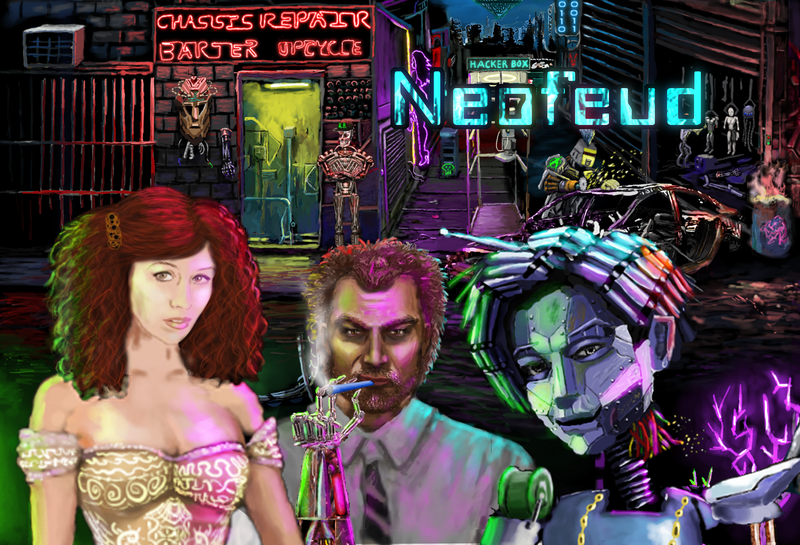 Neofeud 2 Update: New animations, portraits, etc. !